Where creativity meets literacy and engages children in the curriculum and reading. How a book, literally changed my life. To help primary and secondary schools bring literacy to life, I’ve put together the half day STEAM Co. ‘Rocket Kids’ session. Based on the globally best selling book and film ‘Rocket Boys’, it’s a journey of aspiration, invention and family. Read more below, download the flyer and book your session now. "I became a teacher to hear children make that noise. It was fantastic"
"A really fantastic connection to reading and the curriculum"
"The children were overwhelmed by it. A stunning, stunning morning"
I'm very proud of my dad. Lucky to retire early from a job he didn't particularly enjoy, he has a lifetime of youth, community and council work behind him and now, at over 80 years old still volunteers in an Oxfam bookshop in my home town of Ludlow in Shropshire. One day he gave me a book he'd come across and which he said was the "best book he's ever read". 'Rocket Boys' by Homer Hickam is the story of four kids growing up in a dead-end coal mining town in West Verginia in America, but on seeing the Sputnik fly past in an October night sky, and with the encouragement of their mother and a book from a teacher, go on to work out how rockets work and through trial and error and trying hard, make a few. Homer ends up working for NASA. No you can't make it up! Homer has generously given us permission to take his story into primary and secondary schools around the UK as the 'Rocket Kids' STEAM Co. sampler. Here's a rapid fire 2 minute film I made of a talk I gave on it to the BETT SHow in London in 2017. Hold on tight, it's quite a roller coaster! 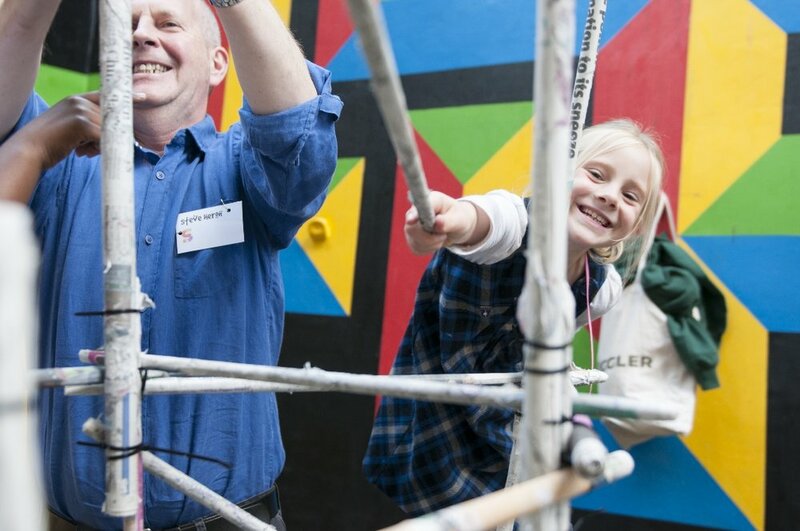 About seven years ago I gave up my marketing career to co-found STEAM Co. - a social enterprise that advocates for the power of creativity and people to engage children, innovate business and connect communities. 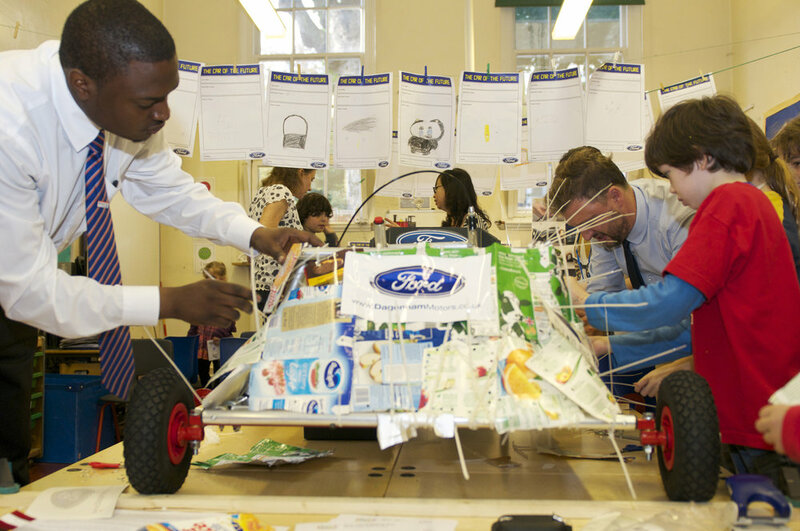 It's a charitable initiative that gives school communities the Inspiration and Resources to run STEAM Co. Days - 'school days like no other' are days of creative thinking and doing activities across the crucial STEAM* skills. They connect communities with schools and children with the curriculum and career/life pathways. 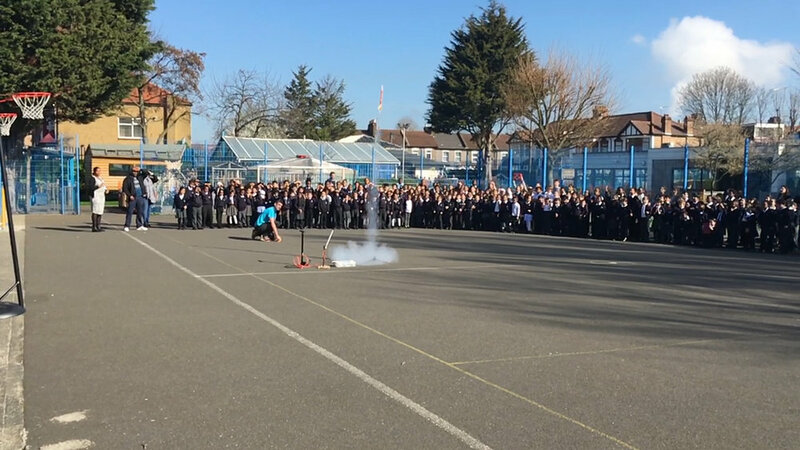 We're taking the 'Rocket Kids' show to primary and secondary schools across the UK to share this story, to connect us and encourage schools to run STEAM Co. Days. Listen to what Vic Goddard, allegedly the UK's most famous head teacher had to say about it after we popped into to his primary school in Essex. 1: Rocket Kids assembly – an engaging 40 minute talk/stage show, of aspiration, invention, determination, diversity, family and STEAM Skills, inspired by Homer Hickam’s 'Rocket Boys' best-selling book and blockbuster movie as well as drawing on other STEAM powered space explorers from Elon Musk to Helen Sharman. Requires audience input from staff and pupils. 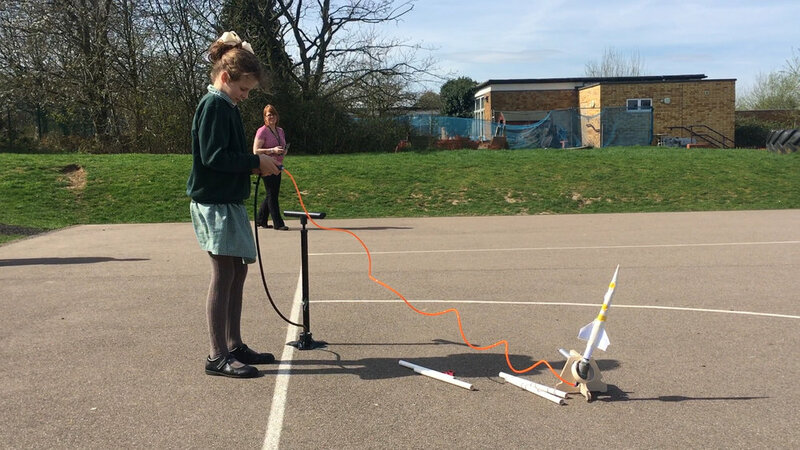 We look at what makes rocket fly and how the children will be making their own rockets. 2: Real Rocket Firing - assuming site, weather and risk assessments allow, we can fire a 2 stage ‘black powder’ rocket with parachute recovery system about 500 feet in the air! Unbeatable. See film above. 4: STEAM Co. briefing– a 30 minute talk to SLT, staff, parents and local businesses in the school community on the story behind STEAM Co. by its co-founder Nick Corston MEng FRSA and STEM Ambassador. It will give an overview of what’s involved in running a STEAM Co. Day and an overview of the Pop-Up Day Drop Truck which will hopefully be parked outside in your playground! We will be doing all we can to convince you to run your own STEAM Co. Day and how we can help if you want us to. Alternatively this can be held as a late afternoon evening session as a mini conference as North Saints Primary did in this film. See this short film of the day we took the Rocket Kids session to a school in a very challenged part of Liverpool and hear what a Year 7 teacher had to say. During a visit to your school with the 'Rocket Kids' session, I'd be delighted to show you the two literacy interventions that I have been working with and which can be delivered by TAs to help struggling readers. Click on the Literacy menu option above for an overview and then have a look at the demo films I've made for Decoding and Comprehension. Just when you thought it couldn't get any crazier... here's a film of the 'Rocket Kids' stage show at Camp Bestival in 2016. We'll go anywhere to inspire our children and connect our communities. 'Rocket Boys' imagery and story used with kind permission of the author, Homer Hickam and Random House publishing.